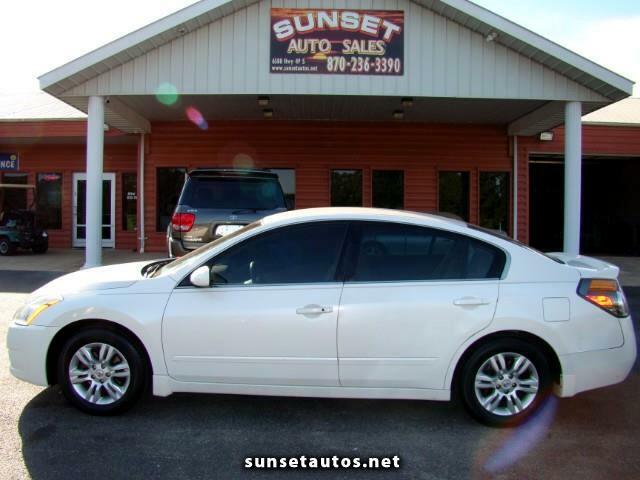 This is a beautiful 2011 Nissan Altima S, white with tan cloth, 4 cylinder, automatic, spoiler, alloy wheels, air conditioning, home link, power windows, power mirrors, power steering wheel, tilt/telescopic, cruise, power door locks, cd stereo, side airbags, mudguards, smart key with keyless entry, tint, and floor mats. The car runs and drives great, the body looks good too besides a small dent on the left rear. The interior is in great shape, the seats look really nice, the wheels and tires are in good condition too. This can make someone a very nice and dependable vehicle, it will come with a clean title.